One of the best parts of having a wedding off-season means getting to collaborate with lots of my talented pals! 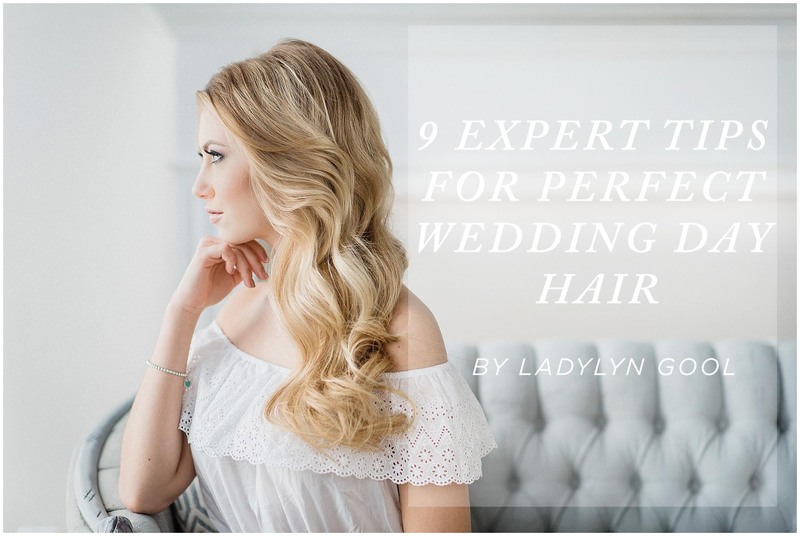 I have Ladylyn Gool on the blog today with her 9 Expert Tips for Perfect Wedding Day Hair! 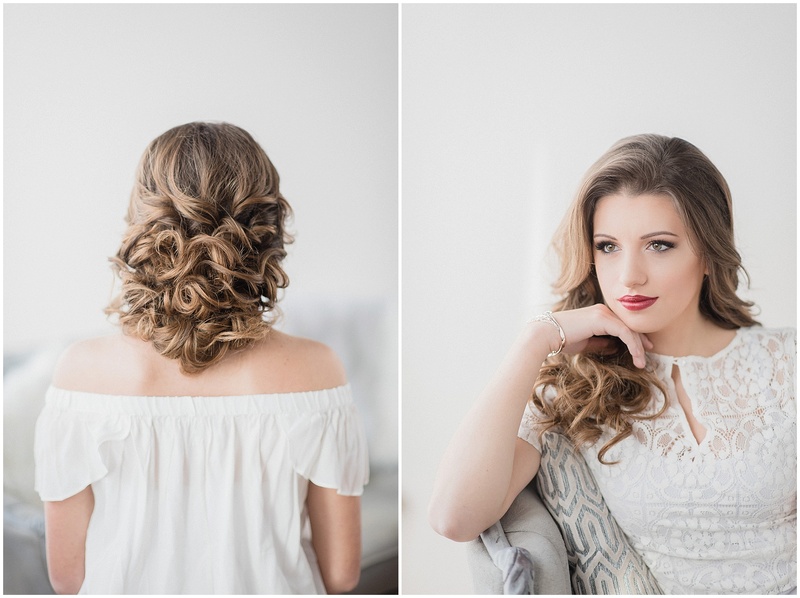 Ladylyn is the queen of long lasting bridal hair styles, all of which are so stunning and she somehow whips them up so quickly! 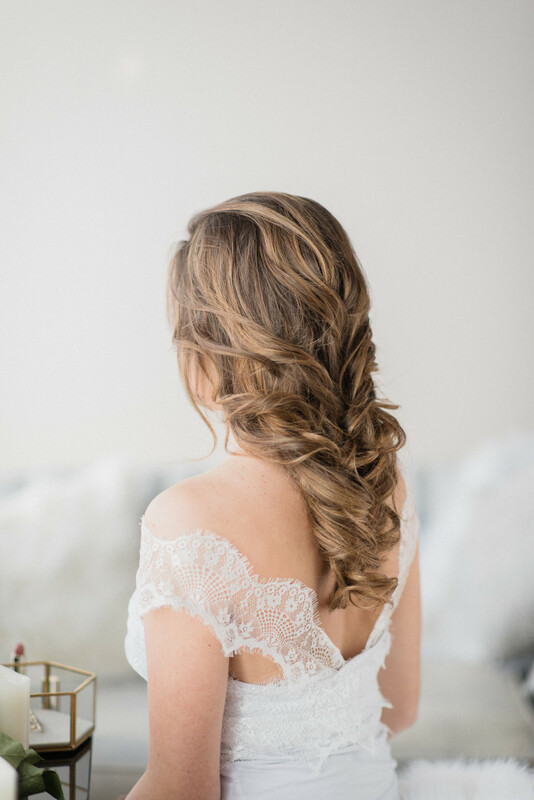 Ladylyn did the wonderful work on Kerry’s wedding from earlier last year as well as Laura and Jordan’s wedding, and I love when my brides book with her because I know they’ll have gorgeous hair all day long and they’ll be on schedule all morning! 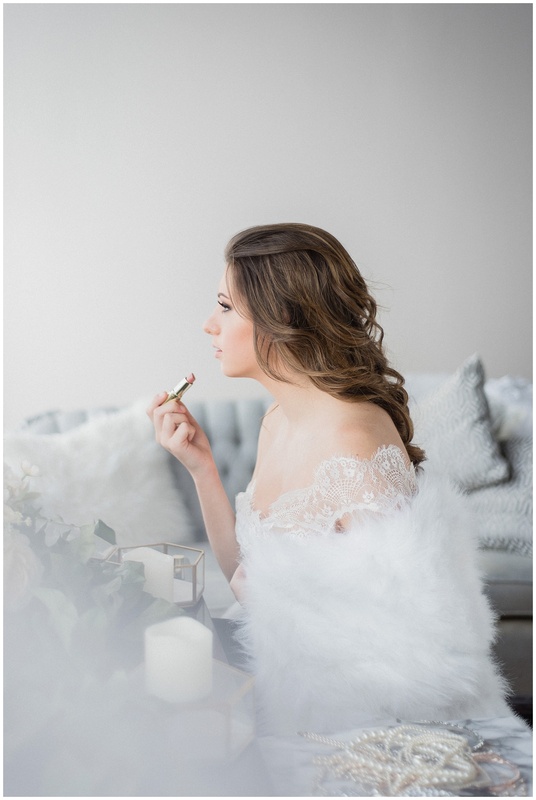 Our makeup artist for this shoot was Terena Hyma, who has loads of makeup experience under her belt, and she is just the sweetest to work with. I am just so blown away by how talented she and Lady are. I consider myself so lucky to call these ‘friendors’ friends! 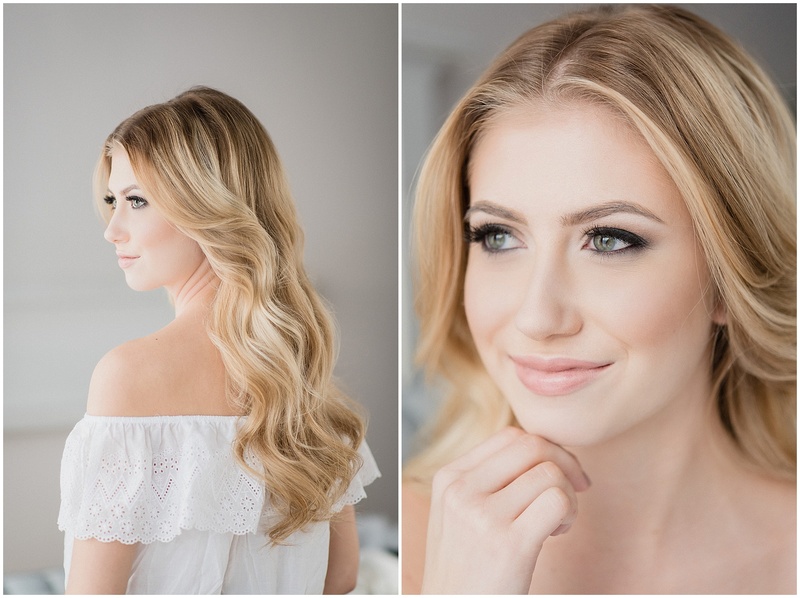 I encourage any brides out there reading this to inquire with these two for their wedding day beauty! • A clarifying shampoo should only be used once a week at the most, to remove product and oil build up. 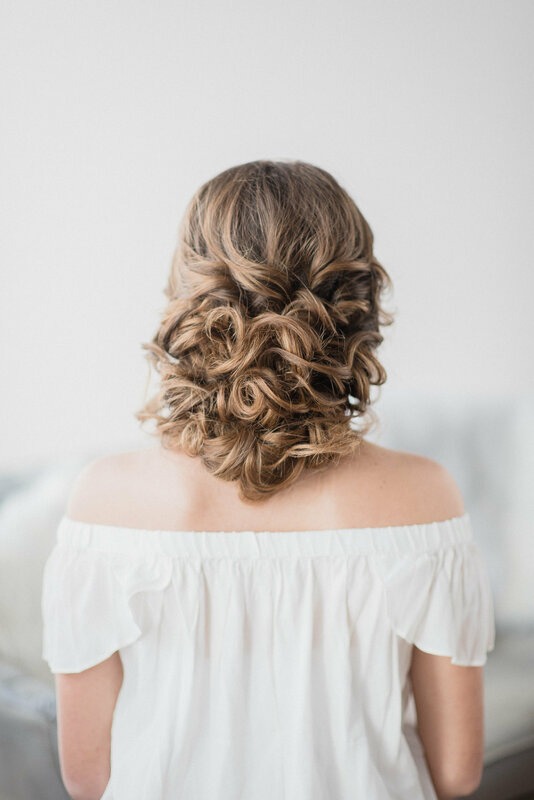 • Invest in a good one, like Bumble and Bumble’s Sunday Shampoo, and you can share it among you and your bridesmaids. • Use this shampoo the night before your event. 2. Dry That Hair, Girl! • Some heads of hair take forever to dry. Like two whole days kind of forever! • For your stylist to create beautiful, soft, long lasting looks, your hair need to be dry, 110%; even the back part. • If you think it’s “dry enough”, keep drying it baby. • Any dampness will add time to your hair service, making the morning run late, and the style may not last. • No matter how tempting it is or how tangled/limp/dry you think your hair gets, avoid using any conditioner, oils, leave-in treatments and products (C/O/L/P). 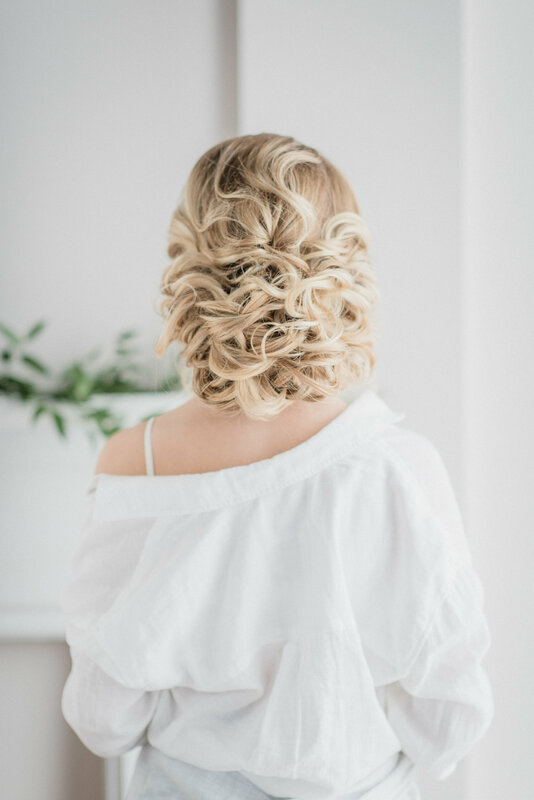 • When C/O/L/P are used on the hair, it creates a barrier, which does 2 things: a) it makes it difficult for the heat to affect the hair, whether you’re curling or straightening, meaning a higher temperature needs to be used. And that’s not good thing! b) the barrier also makes it difficult for holding products, like hairspray, to actually work. Instead, it will sit on top of the C/O/L/P and you will have crusty, flaky, sticky, heavy hair. 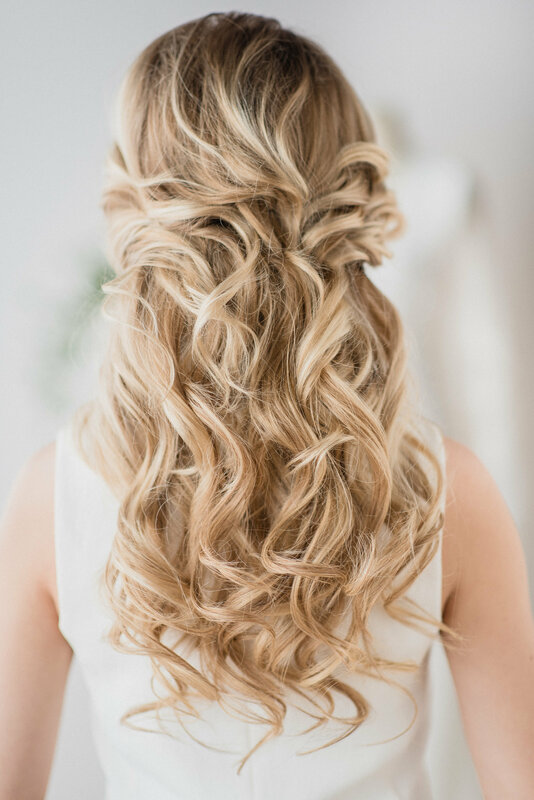 • A lot of women tend to grow their hair longer for the wedding (especially the mother of the bride!) Imagine this, you grow out your hair for the wedding, then on the date of the wedding, you show your stylist a picture of the hairstyle you want, but it’s from when your hair was shorter. This happens more often than you think! 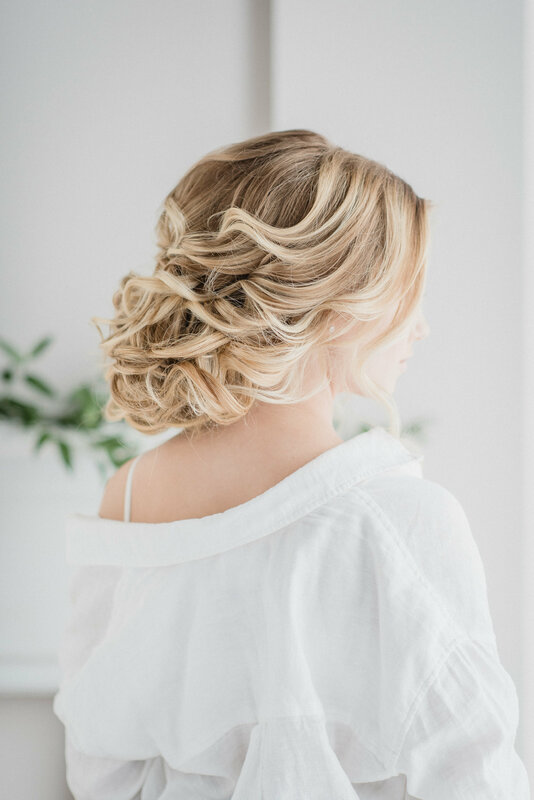 • Your desired hair length and colour should be established at least 30 days before the wedding, and your last hair trim and colour should be 10 days before the event. 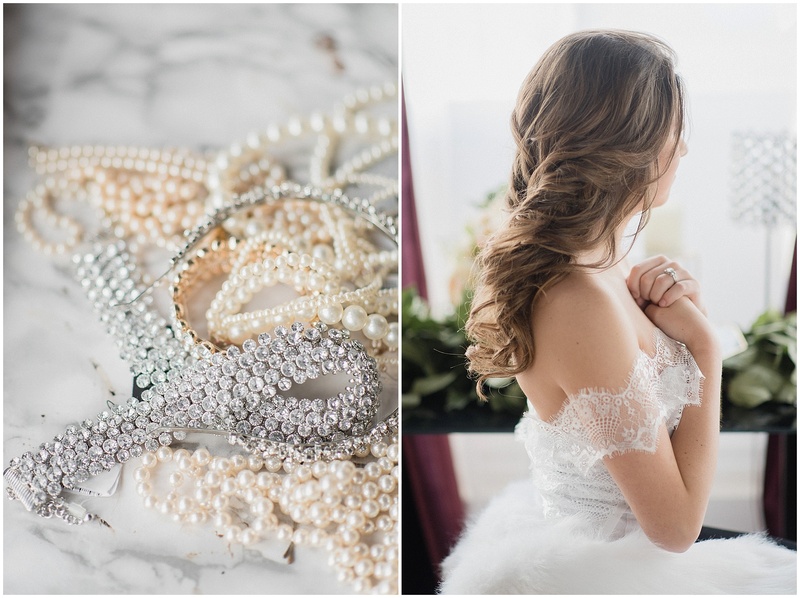 Major changes to your hair before the wedding is never a good idea! 5. Cut & Color Make a World of Difference – Ask Your Stylist! 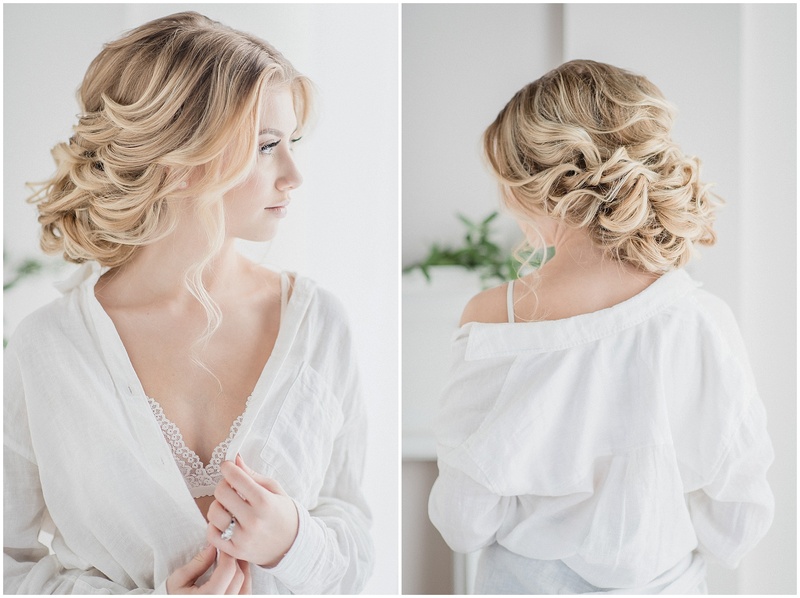 • Your hair cut and colour can make or break your desired wedding hairstyle. Some hairstyles require long hair, some short. Some look best on blonde hair, and some with very fine highlights. Bangs are another important aspect to consider. Should you grown those out or leave them? 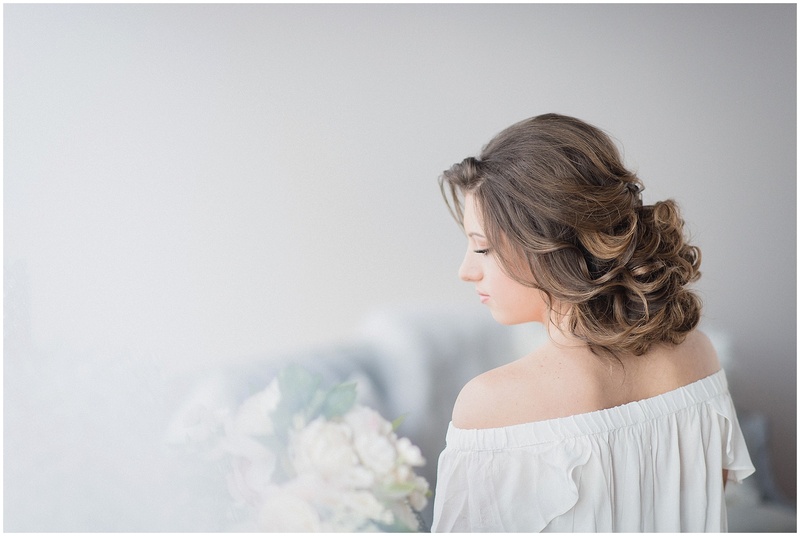 • An experienced bridal hair specialist is the best person to help you answer these questions. Having the right hair cut and colour will help create the look you want. At the very least, trim up split ends, tone brassy highlights and cover those greys. 6. What About Hair Extensions? 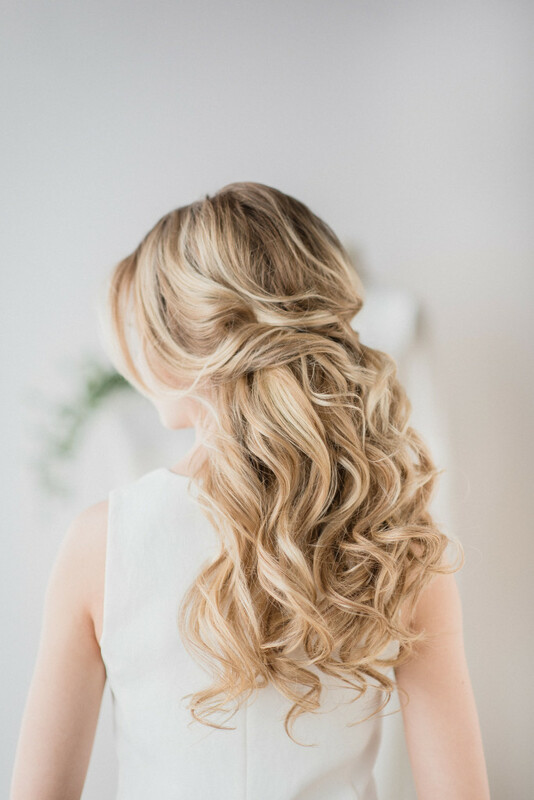 • The best hair extensions to use for your wedding are clip-in hair extensions, and 160g-180g is the best weight to achieve a full look. Anything more than that weight will feel heavy and give you a headache. • Double wefted-Remi hair that is 18″ or longer will be perfect for a full and healthy look. • Choose a color closest to the color of your hair, or the ends of your hair. 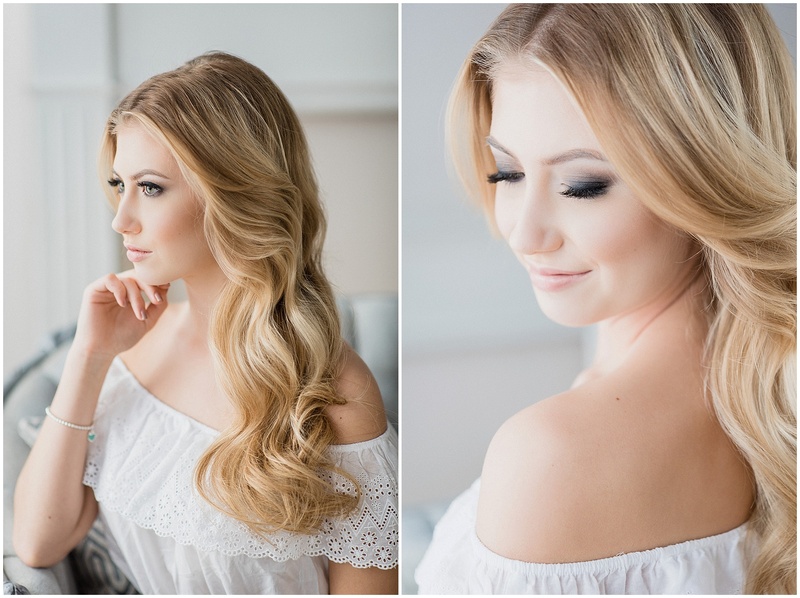 • Before the wedding, start preparing hair extensions by spraying them with hairspray and brushing them. Repeat this every other day. 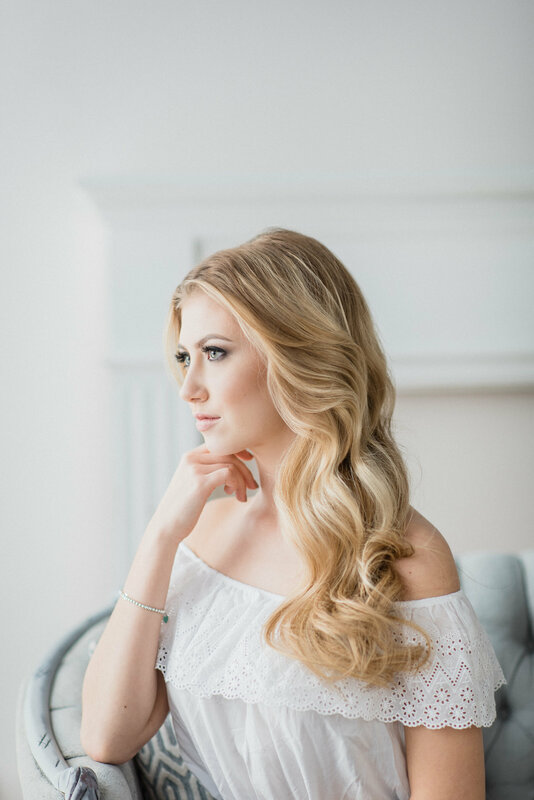 Fresh extensions out of the box will not hold curl or volume, and they will look like hair extensions, rather than looking soft and beautiful. • 5 weeks before your trial, begin collecting pictures of hairstyles you love, and ones you hate. You can save these pictures on Pinterest, or in an album in your phone. They can be 20 different pictures of the same hairstyle, or 20 different pictures to create one hairstyle. You may love the volume in one picture, and the curls in another. 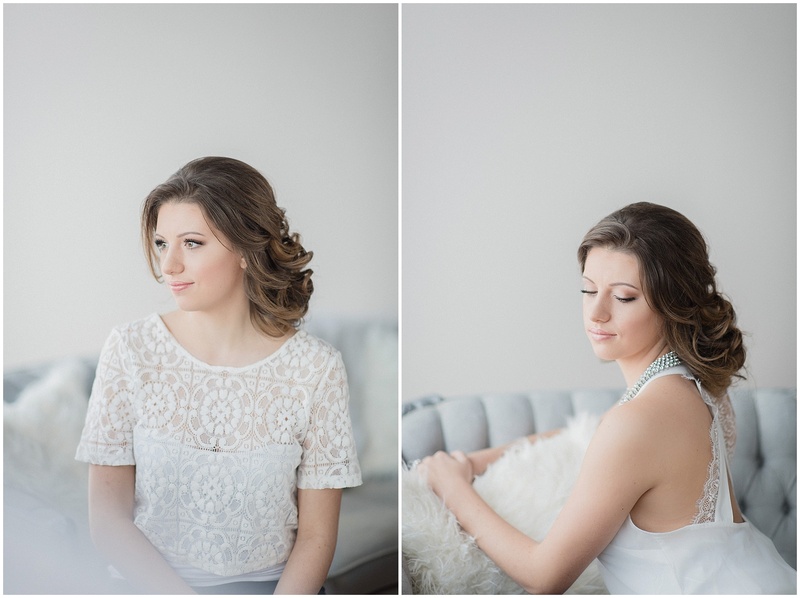 Pictures will help you communicate your desired look with your hair stylist. 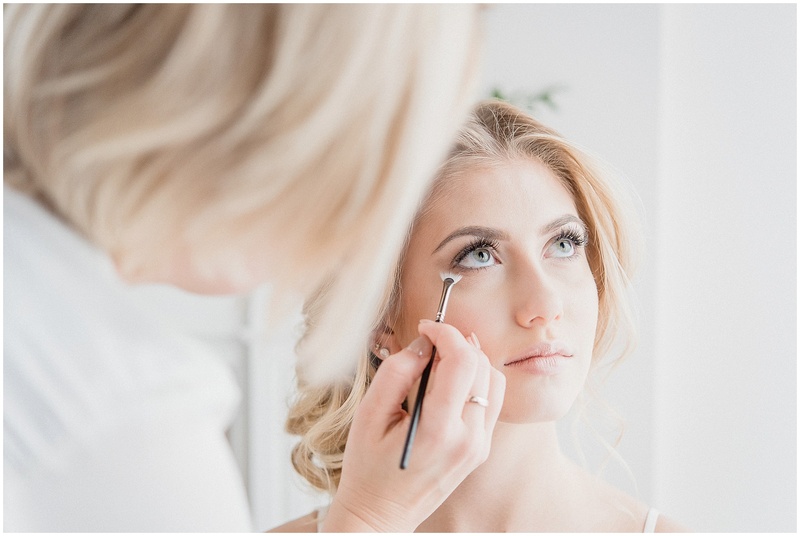 • Your trial is meant to help you choose a wedding hairstyle and makeup look. 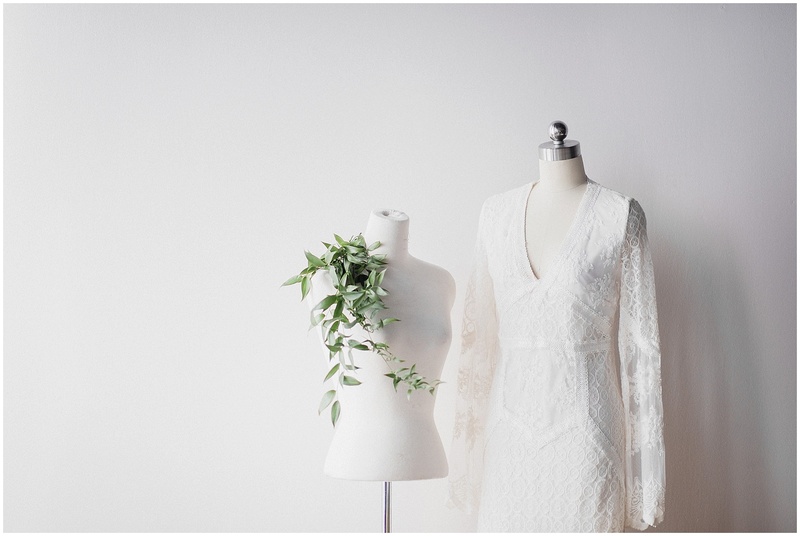 Wear something that makes you feel beautiful, as if it were actually your wedding day. 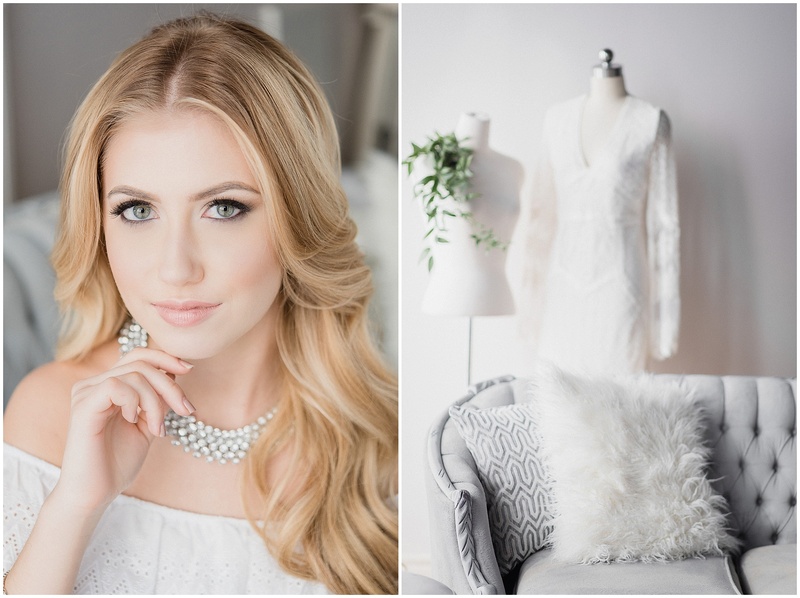 You can wear a white, off the shoulder top, with lace, or off-white silky dress. Whatever you choose, try to avoid looking “edgy” or “comfy” on your trial date. Unless that’s the wedding look you’re going for! It can affect your choices drastically! • Arrive to your trial with your hair clean and dry, with no C/O/L/P. • The most important advice is to be open. 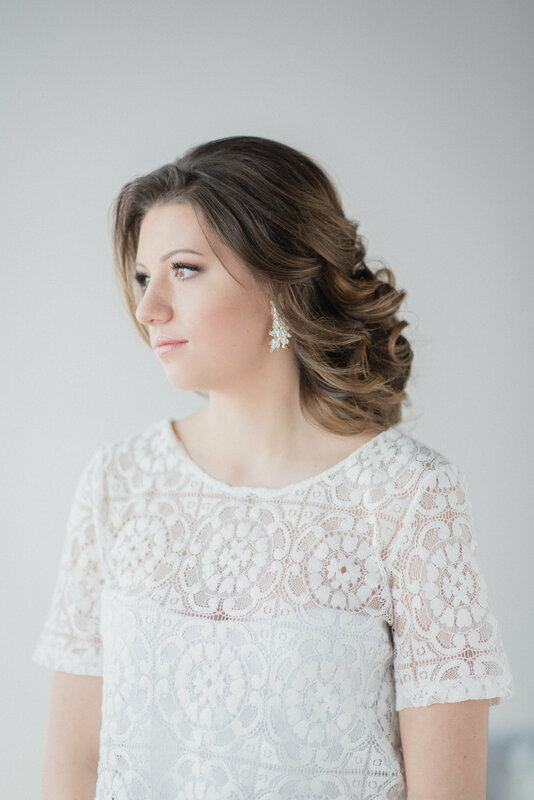 This is most likely your first time being a bride, and it will be the first time you put the whole look together. • Keep in mind that there may be a different hairstyle that is better suited for you. • Give feedback to your hairstylist during the trial, and they should be able to cross hairstyles off the list, to narrow your search. Make sure to choose a hair stylist that you love to work with, and trust in them! 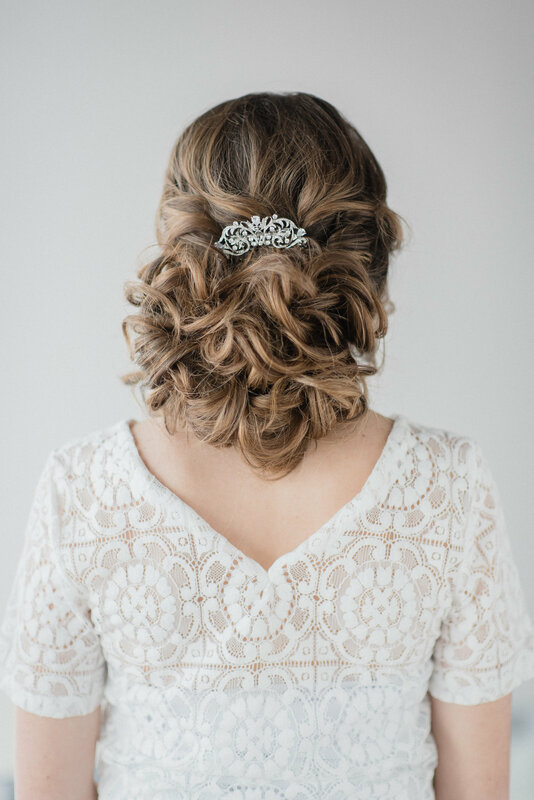 This is the key to perfect wedding day hair!